Game of Thrones seems to top itself every season when it comes to spectacle. Game of Thrones needs a lot of heavy special effects lifting to pull off its ambitious scenes. HBO has now put out a behind-the-scenes video in which creators D.B. Weiss and David Benioff, along with production designers, explosive specialists, horse masters, stunt people, visual effects specialists, and others explain in how the impressive scene came together. Interiors from the season, including the Dragonstone throne room, the Citadel, the caves Jon and Dany visit, and the chambers under King’s Landing were created by Zoic Studios. Even for much simpler tasks it needs lot of effort as they claim high applauds. There were battle footages too. 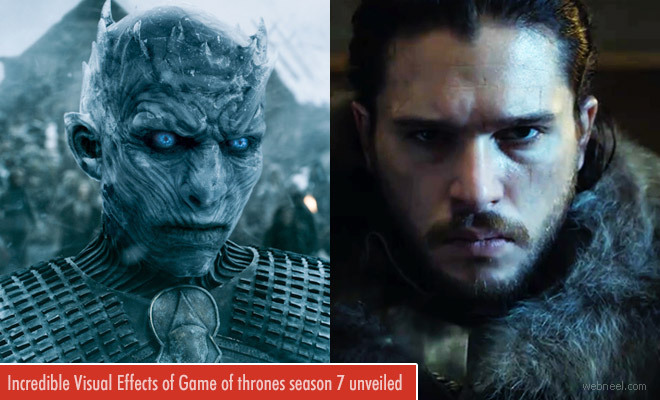 Game of Thrones Season 7 is based on an outline of the two final, presently-unpublished novels in George R. R. Martin's A Song of Ice and Fire series, The Winds of Winter and A Dream of Spring.